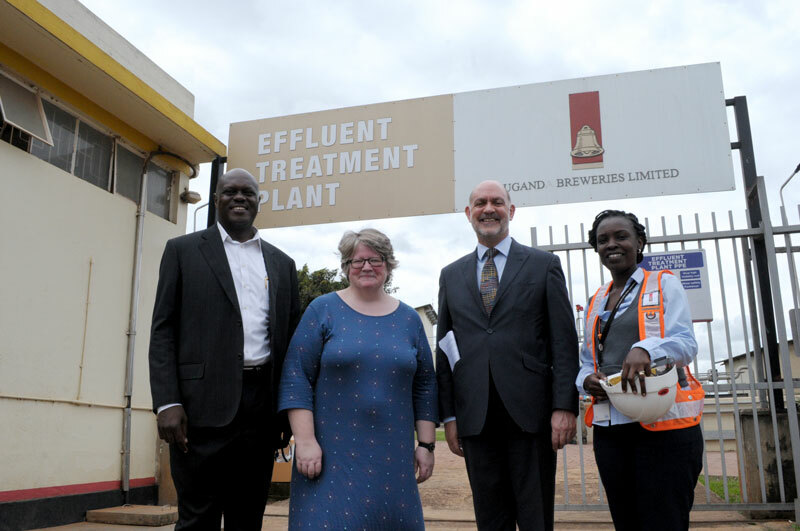 Last week, Uganda Breweries hosted Thérèse Coffey, UK Minister for Environment and H.E Peter West the British High Commissioner to Uganda at the factory premises. The dignitaries paid a courtesy visit to appreciate Diageo’s footprint in Uganda- the UK based parent company for UBL as well as appreciate the environmental protection practices. Accompanied by the Managing Director, Mark Ocitti, the team toured UBL’s production site and the state of the art effluent treatment plant that allows UBL to dispose of water Cleaner than taken out of the lake. Uganda Breweries hosted Thérèse Coffey, UK Minister for Environment and H.E Peter West the British High Commissioner to Uganda at the factory premises.